The Open Beef Show will take place at the Smith County Ag Center on Thursday, July 5, 2018. The show will begin at 6:00 p.m. There will be a $5.00 entry fee per animal. All exhibitors must be on grounds by 4:00 p.m. or be subject to gate admission. Ribbons will be awarded to all Peewee exhibitors. All other classes will receive $20 for 1st place and $10 for 2nd place. Commercial Heifers will show first. Must be owned by 4-H, FFA, or younger. Commercial classes will be split by hip height. If there is a breed, classified in all other breeds, that has two or more farms, and eight or more cattle, they will be taken out of AOB and placed in a class of their own. Percentage heifers will need to show AOB or bring enough cattle to form their own breed show. Fair committee reserves the right to add or delete breed shows based on number of entries as described in rule 1. The show is open to any registered breeders and to any bonafide 4-H or FFA members. Cattle will only be allowed in the barns on the days of their respective shows. 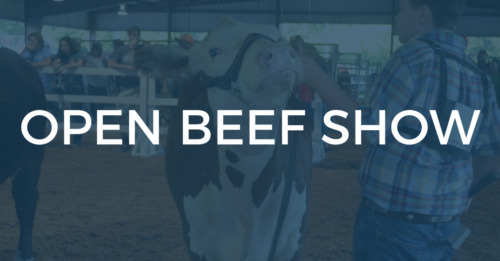 ALL SHOW ANIMALS EXHIBITED IN THE SMITH COUNTY FAIR OPEN BEEF SHOW MUST HAVE VALID HEALTH PAPERS. Registration and health papers will be checked by the show chairman when animals enter the fairgrounds. Registration will take place prior to the show. NO ANIMALS WILL BE ACCEPTED UNTIL REGISTRATION CERTIFICATE HAS BEEN PRESENTED. Some bedding provided by the fair – exhibitors may add additional bedding of their own if desired. No straw bedding allowed in the barn. Trucks and trailers shall park in designated areas after unloading. All livestock exhibitors and drivers of vehicles transporting livestock will be admitted free. An exhibitor is defined as the person who attends the animal in the show ring. Unruly animals may be excused from the show ring by the Judge or Show Chairperson. All livestock shall be exhibited at Owner’s risk. 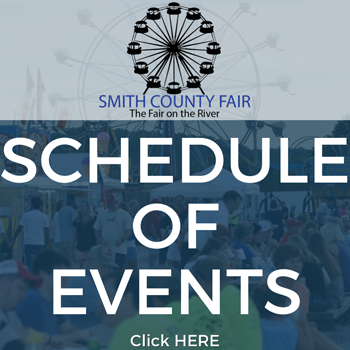 Smith County Fair Association will not be responsible for any loss or damage to any animals or equipment, but every precaution will be taken to prevent any such loss or damage. For more information call 615-735-1323 or 615-677-6568. Trophies and premiums for Champions & Reserve Champions are sponsored by Smith County Cattlemen’s Association.